This is my story: honest and vulnerable money talk. I hear so many times friends and clients as they share with me that they can’t seem to make more than “a given amount” of money per year, no matter what they do or how hard they work for it. 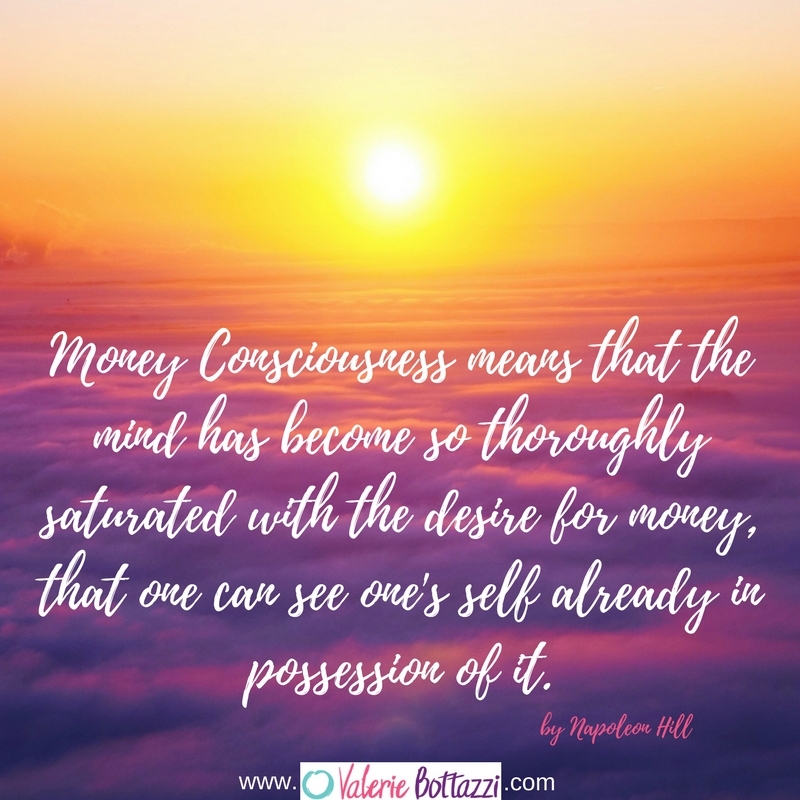 I can speak for myself when I say that I have learned both consciously and subconsciously limiting beliefs around money and power. Have you ever heard any of these phrases below spoken by friends and family as you grew up? and many more versions of these concepts. Glass ceilings, harassment, power, money. They are all related and it reflects in our lives as an inability to be able to reach for more if we so desire. Our unconscious makes sure it “sabotages” us to keep us at the level it believes we should be (as small or as big as it believes it should be). Clearly the same is true also for very wealthy people. For them it is a given that they should be wealthy, why not? Whatever beliefs they have it encompasses their ability to create and keep a wealthy lifestyle. My limiting beliefs have all been embedded in the thread of my subconscious by my Italian parents who lived through World War II. I grew up in a household where my mom would fill up the pantry until it was full to the gills…. what she experienced during the war when they run out of food when they were forced to leave their home and escape to the countryside, run many of her actions while I was a child. For example in my house food portions were “rations” served at our table and we ate leftovers and the leftovers of the leftovers. Nothing wrong with eating leftovers. I still re-vamp them today and I love them. I am talking about something deep here. Something that runs below the surface where our minds cannot reach or aren’t sometimes even aware of this. NOT ALLOWING MYSELF TO BE POWERFUL. Personally, I can say that I have lived through all of the above and then some. I had to work at it. Letting go of these beliefs wasn’t easy. Consistent mindset work paired with journaling, with energy work, with deprogramming cellular memories, with regressions and more. Each one of us has our own path. What I learned is that it doesn’t have to be “this hard” to let go. It boils down to “giving myself permission”. We can do all of the exercises we want but if we don’t give ourselves permission we cannot rewrite our truth. I am writing this newsletter today to encourage yourself to give yourself permission. To do what it takes to re-write your story. It is up to you and only up to you. No one can grant you this permission. Sure I can help you and other coaches can help you too. We can help you peel the onion, dig deep and let go, teach you techniques to change the energy and the beliefs but in the end, YOU MUST GIVE YOURSELF PERMISSION AND YOU MUST REMEMBER THAT YOU ARE WORTHY no matter what and for no particular reason. YOU CAN. YOU CAN DO WHATEVER YOU SET YOURSELF TO DO. Book a Clarity Call NOW & let's talk about how you can totally revolutionise your life achieving unheard of success!